All 400 public buses operating in Clark County are now capable of streaming live footage from surveillance cameras, more than one year after a standoff on the Strip. 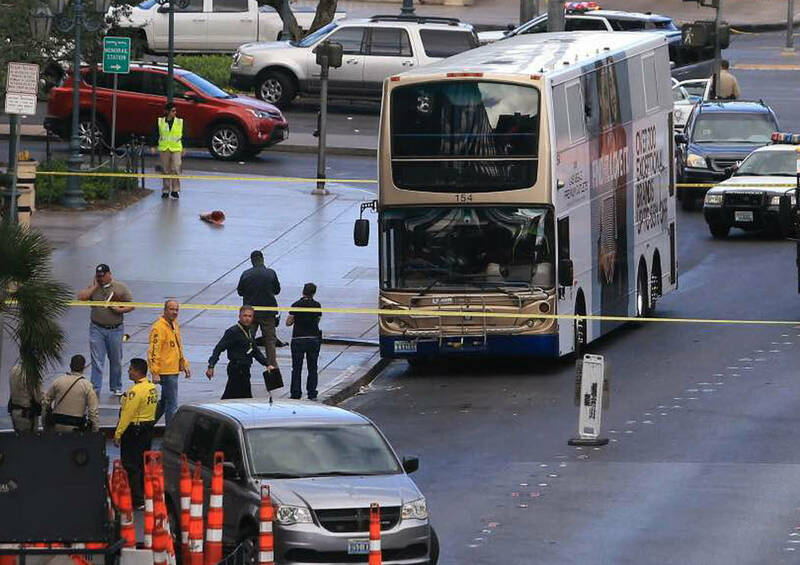 All 400 public buses operating in Clark County are now capable of streaming live footage from surveillance cameras, more than one year after a standoff on the Strip, the Regional Transportation Commission of Southern Nevada said. The RTC quietly completed a project in April aimed at providing real-time camera feeds to law enforcement officers. Up until then, cameras inside RTC buses were only capable of recording images that could be viewed later. “Our customers’ safety is a top priority,” commission spokeswoman Angela Castro said in a written statement. The RTC spent $248,460 to install live-stream software on its camera systems, with footage streamed to hard drives owned by Keolis and MV Transportation, which are contracted to operate the transit agency’s buses. Although it hasn’t happened yet, all of Southern Nevada’s law enforcement agencies are able to access the live camera feeds through a special log-in system, RTC officials said. “When an incident occurs, we need to have Metro’s eyes on it,” said Sean Higgins, a spokesman for MV Transportation. 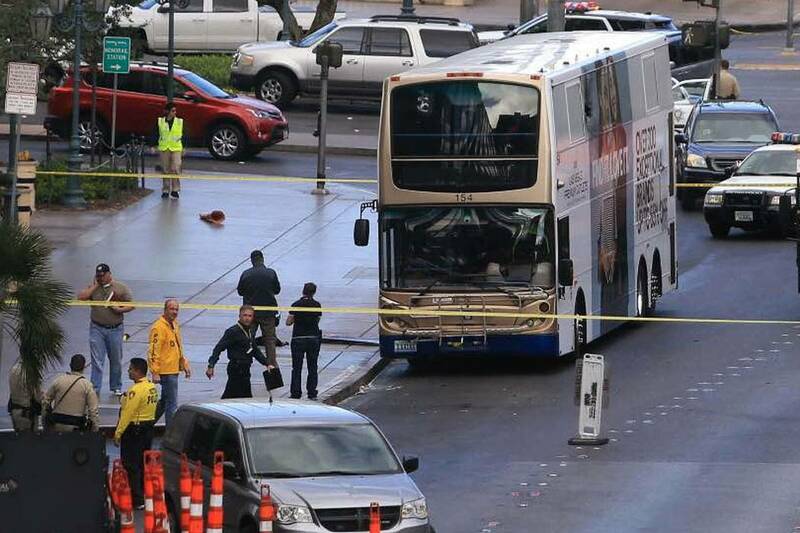 RTC officials agreed last year to provide live camera access in the wake of a standoff between Metropolitan Police Department officers and gunman Rolando Cardenas, who hid inside a bus parked in front of The Cosmopolitan of Las Vegas in March 2017. Cardenas could see outside, but SWAT officers could not spot the gunman because a vinyl advertisement blocked the bus windows. About three hours into the standoff, police used a flash-bang to break the windows and placed a camera-equipped robot inside the bus to get a view of Cardenas, who is accused of fatally shooting one man and wounding another man. Cardenas tossed the robot outside the bus and remained barricaded until he was arrested. Last summer, RTC officials tested other types of vinyl bus coverings but determined that they made little difference in allowing police to see inside. The agency will continue to use the same material for the wrap-around ads, which generate up to $2 million annually. That’s enough to cover about 2 percent of the RTC’s service costs, or the equivalent of operating a smaller bus line elsewhere in the Las Vegas Valley.